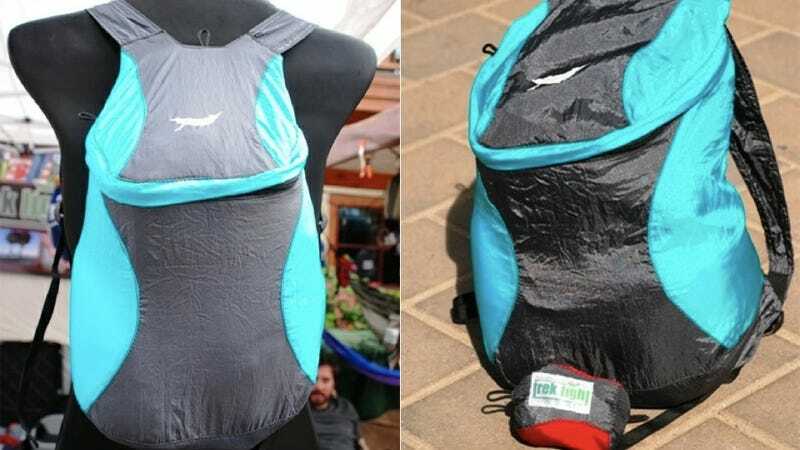 The Trek Light PackBack weighs just 3 ounces and can fold into a package the size of a toddler's fist, but its uber-strong parachute nylon construction means it can hold over 30 pounds of stuff. Forget a fist, you could fit a whole child in there! Its feathery weight and packability do come with some drawbacks, the main one being ergonomics. Don't expect any sort of padding and god help you should you need a hipbelt. That being said, it does have a secondary pocket on the outside. Also when you expand it out, the stuffsack turns into a secret little inner pocket that dangles in the main pocket. It's the perfect size for certain unmentionables.